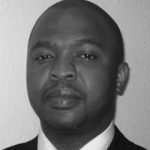 Bio: Dalton D. Lunga is a geospatial and machine learning scientist at the Oak Ridge National Laboratory. He has extensive experience on designing and developing computational methods for knowledge discovery from large volumes of high dimensional image and geospatial data. He currently leads research on deep learning feature extraction for domain adaptation and active learning, manifold learning with scalable deep learning approaches for World scale human settlement mapping. His technical background includes image processing, statistical machine learning, geospatial data analysis, visual analytics and natural language processing. He received his PhD in Electrical and Computer Engineering from Purdue University, West Lafayette, Indiana.